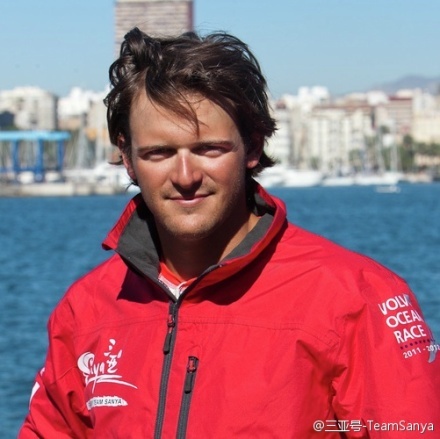 Irish backed entry in the 2011/12 Volvo Ocean Race, announced today that Andres Soriano (ESP/USA) is to take on the role of their Media Crew Member. There has been some disappointment at home given the only Irish crew member on board the boat was Frankie Leonard who withdrew over seasickness in late September. Subsequent applications for the media post included Irish sailors who it now appears were unsuccessful in their quest to join Mike Sanderson on the Sanya boat, 25% funded by Discover Ireland. experience, puts him in a perfect position to take on this role and deliver great results for the team and the event. "I am truly ecstatic and excited about my role as media crew member. I know it will be one hell of a ride and I consider myself very lucky to be a part of this awesome Team Sanya race crew. We have already built up a keen fan base and I will definitely take on the challenge to expand that by telling our story in an insightful way never seen before."